Can you buy a flat on the Internet as if you where buying a book? 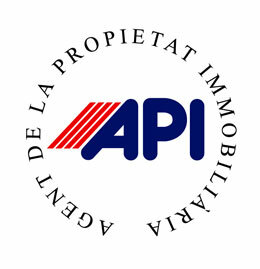 Selling or acquiring a property, in addition to the significant financial and economic impact it represents, has a huge complexity of legal, technical, fiscal and financial requirements that make it advisable and safer to hire the services of a professional and pay the fees (they are not commissions), in exchange for obtaining tranquillity, security and probably a better business deal. Hiring an online platform means using digital systems, previously configured under more or less basic standards, bearing in mind that the user makes their own decisions. The online platform is limited to placing an advertisement on the Internet and directing the people interested in the purchase of the property directly to the owner of the house so a visit can be arranged and developed. If you want or need some kind of extra adive service, they will always be available online but at an extra cost. Both business or service models can be combined perfectly! It simply depends on the consumer deciding whether to opt for a low-cost model (with online services that can ultimately lead to a very high cost), and that implies that all the responsibility of the real estate operations fall in to the consumers lap, because it is obvious that the online platform will not assume any responsibility of the property this service; Or opt for a more traditional way and contract the real estate agent who will advise you and they will help meditate and they will also accompany you personally throughout the process of buying and selling, assuming full responsibility in exchange for established professional fees agreed upon previosly. From the real estate agents group, we want to denounce the publicity these platforms use a certain depreciative effect on the other colleagues, which goes against the deontological code that governs the profession. In this regard, from the Fadei (Federation of Associations of Real Estate Businessmen), possible legal actions for unfair competition ae being studied. Undoubtedly, one of the main challanges of our section is to evolve and adapt to the new changes of the digital era at a faster pace to improve agility, reliability and more commercial capacitu, incorporating in the day to day managment new technologies because they are only a resource. Most importantly, what really justifies the interention of a real estate agent is its added value, which is to take care of the personal relationships and the emotions of buying a new home, offering a service with maximum security and guarantees taking into account the needs of the person who has hired them, making sure to full fill the clients expectations and achieve the excellence in the whle process.